Sorry Spartans, it was the Persians who shaped the first recorded human rights! Popular media and movies might sing a different tune of cultural dominance. But fortunately beyond abhorrent racism and fantastical rhinoceroses, historical evidences are still there to record the unbiased set of events. To that end, as it turns out – it was actually the Persians who concretely devised the first ethical guidelines pertaining to the treatment of humans. 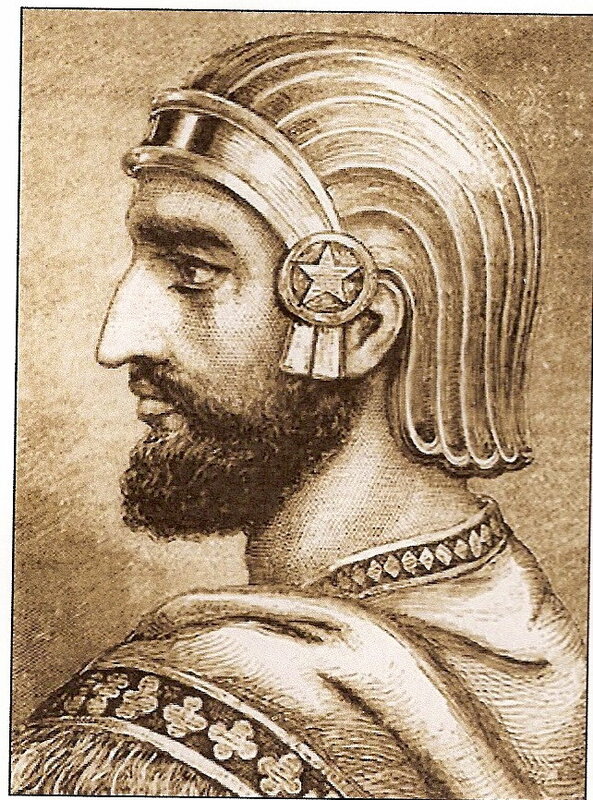 More specifically, it was Cyrus The Great, the founder of the Achaemenid Dynasty (the maligned-by-Hollywood Xerxes also belonged to the very same dynasty), who momentously declared the first Charter of Human Rights known to humankind. 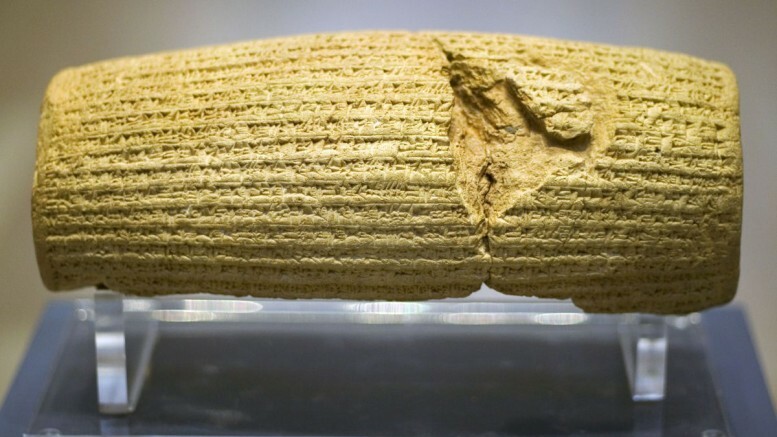 The declaration was ceremoniously preserved in what is generally labelled as the Cyrus Cylinder, which is basically a baked-clay cylindrical object with engraved Akkadian language in the familiar cuneiform script. 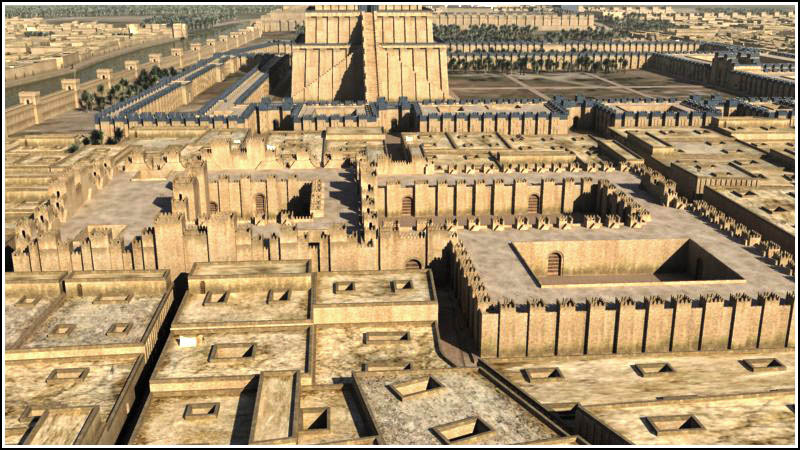 The charter was etched more than two millennia ago, in the year 539 BC, after the royal Achaemenid army entered the fabled city of Babylon in a grandiose yet peaceful manner. This bloodless demonstration of power was subsequently well received by many Babylonians, partly because some of them were already disillusioned with their last king, the tyrant Nabonidus. Cyrus, who was known for his foresightedness and magnanimity, took advantage of the prevailing goodwill and declared himself the supreme god’s chosen. The Cyrus Cylinder was then devised in the following days, and then placed in respectful manner under the walls of the temple of Marduk (a monument also known as Esagila), the patron deity of Babylon. As for the contents of the baked-clay tablet, historians generally concur on three major points made by the fascinating declaration. These premises include – equality for all races, religions and languages which is to be supervised by the ruling political entity; the allowance for slaves and deported people to return to their homelands; and the restoration of destroyed temples and religious buildings as causatum of religious freedom. 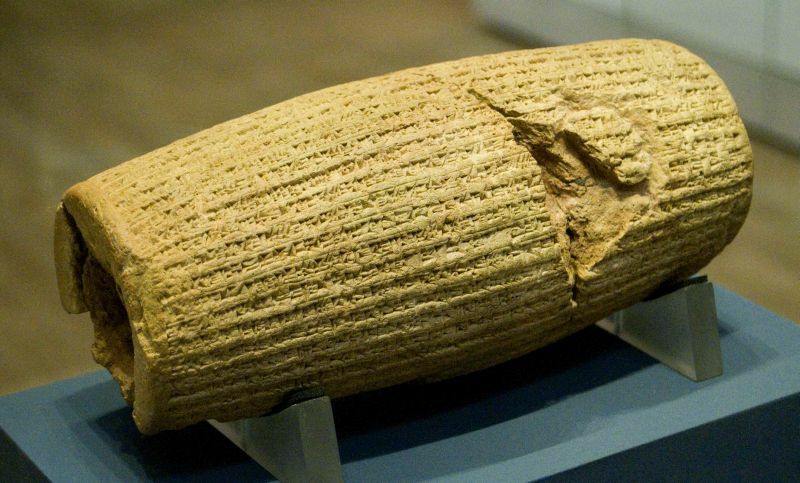 The Cyrus Cylinder has also served as an artifact of importance in our modern times, after its initial discovery by archaeologist Hormuzd Rassam way back in 1879. In fact, the historically important relic was officially promoted as the world’s first charter of human rights in 1971, and then promptly translated into all the six languages of United Nations. The exalted cylindrical specimen is currently kept in the British Museum situated in London. 1 Comment on "Sorry Spartans, it was the Persians who shaped the first recorded human rights!" I don’t think the Spartans are sorry.